With little improvement to the situation of Egypt’s religious and ethnic minorities since the drafting of the 2014 Constitution, hopes that the country would see a more inclusive and secure future for all its citizens – regardless of faith or ethnicity – remain unfulfilled, says Minority Rights Group International (MRG) in a new report. According to Justice Denied, Promises Broken: The Situation of Egypt’s Minorities Since 2014, Egypt’s government has demonstrated patterns of discrimination and exclusion towards religious and ethnic minorities. 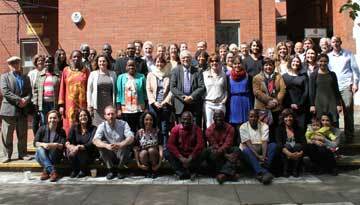 The report describes how Christians still struggle for permission to build churches, face communal violence and unfair informal dispute resolution mechanisms that often result in the displacement of community members from their homes. Meanwhile, other minorities such as Bahá’i and non-Sunni Muslim groups including Shi’a, Ahmadis and Quranists continue to be unrecognised, making it difficult for them to practice their religion freely. The report also highlights how progress on Nubian rights has been reversed, with the government halting the development of legislation that would facilitate the resettlement of the community in their ancestral territory and instead opening their land to external development. Meanwhile, Bedouin communities in North Sinai face mass displacement, widespread violence and a growing humanitarian crisis, with little in the way of government protection, compensation or emergency support. Justice Denied, Promises Broken: The Situation of Egypt’s Minorities Since 2014 underscores that access to justice and accountability lie at the heart of the issues affecting minority communities in the country. It therefore lists 22 recommended actions to the government of Egypt – ranging from amendments to the Constitution to the halting of media campaigns and hate speech in government newspapers against the Nubian community – to achieve a more equitable and inclusive approach to governance that would bring benefits not only to marginalized communities, but to all Egyptians. 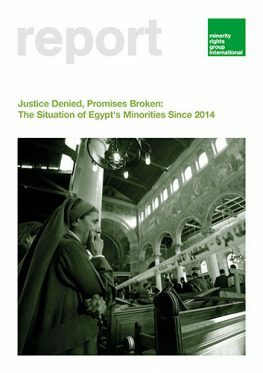 The report Justice Denied, Promises Broken: The Situation of Egypt’s Minorities Since 2014 is available to download here. An Arabic version of the report will be available in the following week. Read our No Change in Sight: The Situation of Religious Minorities in Post-Mubarak Egypt (December 2013) report and about the 24 Nubians arrested for protesting in Aswan in 2017.